The Syrian civil war has reached a turning point. On August 21, 2013, the Syrian government was believed to have used sarin gas to indiscriminately kill over 1,400 civilians and rebel fìghters in the suburbs of Damascus. The use of chemical weapons shows that the last vestiges of restraint by the regime of Bashar al-Assad have disappeared. Anything less than a forceful response will signal to dictatorial regimes around the world that the international community, and particularly the United States, no longer has the will to deter acts of barbarism. From a South Korean perspective, how the US and its allies respond will not only determine the fate of Syria but also set a precedent for how the international community will deal with North Korea. As US President Barack Obama declared, the international community’s credibility is on the line. This Asan Issue Brief argues that the international community should punish the Assad regime for its use of chemical weapons. However, because of the enduring cohesion of the key military elites and the ambivalent international anti-Assad coalition, the civil war will not end anytime soon. It also argues that South Korea, as a responsible global actor, should strongly condemn the regime and provide more humanitarian assistance. Finally, it contends that South Korea should begin planning for situations in which North Korea does not completely collapse, but rather experiences a Syrian-style civil war. The lesson must be to target only a handful of core military units and incentivize China to not back the regime. Q. Is an air strike on Syria a viable response for now? Yes, to punish the use of chemical weapons against civilians. If the international community does not punish this flagrant breach of international norms, it will give a green light to Assad and other rogue dictators. But, a limited military action led by the US will not resolve the two and a half year long civil war where the death toll has exceeded 100,000 and over 6 million people have been displaced. President Obama declared in August 2012 that the use of chemical weapons in Syria would cross a red line that would change his calculus and equation. The August 21 sarin gas attack by the Assad regime is the fìrst major wartime use of chemical weapons since Saddam Hussein of Iraq used mustard gas to kill thousands of Iraqi Kurds in the late 1980s. The Obama administration has reacted swiftly to the attack. Secretary of State John Kerry has been at the forefront in urging the US Congress and Senate to endorse a limited military response without boots on the ground. Internationally, France has also called for a military response while Turkey, Saudi Arabia, the United Arab Emirates, and Qatar have pledged to support a US military response. However, Russia and China have vehemently opposed any action, questioning whether the Assad regime was even responsible for the chemical attack and demanding that any response should be decided at the United Nations Security Council (UNSC). For them, the overthrow of Libya’s Muammar Qaddafì under the pretense of humanitarian protection two years ago reinforced their suspicion that the doctrine of “Responsibility to Protect” is merely a foil for Western-backed regime change. Because of the American public’s opposition to military action, the Obama administration has made clear that it has no intention of entering into another war in the Middle East. It has insisted that its response to the chemical attack will be limited to a small number of targets that will not overthrow the regime. Instead, the goal is to send a clear signal to an adversary that crossing a designated threshold set by the international community will be punished. Yet, having tacitly permitted Assad to fìght a protracted conflict for two and a half years, the Obama administration still faces an ultimatum: respond forcefully or risk being portrayed as a toothless tiger. Q. What are the key factors to explaining the prolonged civil war in Syria? Internal cohesion of the core military elites and external division among the international anti-Assad coalition. First, the security establishment has not abandoned the hereditary dictatorship of the Assad family out of fear that the future uncertainty will be more costly than the status quo. Ever since Hafez al-Assad, the current president’s father, came to power in 1970, the Assad family has built a patrimonial coercive apparatus of a loyal security establishment. Thus, even as most of Syria’s 300,000 mainly low-ranking soldiers and conscripts have defected, the regime has held on with less than 50,000 core troops from the Republican Guard, Special Forces, Air Force, and intelligence services. The regime’s reliance upon a select number of elite divisions has ensured that its security network has been able to survive largely intact. Second, while Iran, Russia, and China have backed the Assad regime with determination, the international community has not reached a consensus about how to support the fragmented rebel groups as well as their ultimate goals in Syria. Instead, the competing goals and different agendas of the international anti-Assad coalition led by Turkey, Saudi Arabia, Qatar, the European Union, and the US have brought about sporadic support. In contrast, Russia and China have consistently provided diplomatic cover by vetoing sanctions proposals at the UNSC and propping up the regime with weapons sales and fìnancial assistance. Similarly, Iran views Syria as vital to maintaining its presence in the Levant. Q. What should South Korea do about the Syrian crisis? Strong Security Council condemnation and more refugee assistance. As a responsible member of the international community and a State Party to the Chemical Weapons Convention, the South Korean government has condemned the recent chemical weapons attack in Syria. While South Korea has limited leverage over Syria, it should nonetheless continue to use its seat at the Security Council to call on the Assad regime to respect international norms and refrain from the use of weapons of mass destruction. When it held the presidency of the Security Council in Febru- ary 2013, South Korea organized a meeting to deliberate on the protection of civil- ians in armed conflict, a debate in which Syria fìgured noticeably. In addition, the interception of North Korean gas masks and chemical warfare suits destined for Assad’s forces in April 2013 should also be heavily condemned. That Pyongyang was supporting the regime in plans to launch chemical attacks shows how danger- ous the Syria-North Korea connection remains. These two countries share much in common, and none of it is good. In line with the government’s efforts to build up South Korea’s global presence, providing humanitarian assistance to Syria can also be a vital project. South Korea’s aid commitment to the Syrian humanitarian crisis so far has totaled roughly $5 mil- lion. There is signifìcant scope for increasing this contribution. For instance, South Korea can support developing refugee camp facilities for the nearly two million refugees in neighboring Turkey, Jordan, Lebanon, and Iraq. These countries have already reached the limit of their ability to assist those displaced and are starting to experience instability. Regional spillover will be quite harmful to South Korea’s regional trade relations and political interests. Q. If North Korea goes the way of Syria, what lessons can be learnt? Target only the core military units and incentivize China. Syria and North Korea share a number of vital similarities. Both are hereditary dictatorial regimes based on the twin pillars of party affiliation and military loyalty. Both are similar in size, population, and geostrategic value. Both are close allies of Russia, China, and Iran. And both have some of the largest arsenals of weapons of mass destruction in the world. Importantly, the same factors that have prolonged the Syrian civil war—mil- itary elite cohesion and the backing of powerful, committed allies—exist in North Korea. First, the key military elites are fundamental to a dictator’s survival. While many commentators point to the sectarian nature of Syria’s civil war, this is, in fact, a byproduct of the protracted nature of the conflict, not the underlying cause. Rather than a Sunni-Shiite war, the conflict is a regime vs. anti-regime war between the benefìciaries of the party’s rule and the rest of society. Similarly, in North Korea, the Pyongyang elites in the core military have been the biggest benefìciaries of the system. The Kim family has relied upon a parallel military apparatus led by the Pyongyang Defense Command and Guard Corps to protect itself. Just as the Assad regime has been able to hold onto power despite losing control of the countryside, in the event of a North Korean uprising or civil war, Kim Jong-un might be able to protect Pyong- yang. Thus, efforts should focus on facilitating the defection of high-ranking gen- erals in those units by providing fìnancial incentives and evacuation options. Second, China, Russia, and Iran will likely continue to defend Kim Jong-un’s re- gime in a civil war while the international community might struggle to effectively respond but fail to produce a swift and meaningful coordinated action. The lesson from the Syrian experience is that the international community should provide them incentives to give up their support for Kim’s regime so that joint stabilization operations are possible. This will be easier than the Syrian case since a protracted crisis in North Korea will do enormous damage to the region’s economies and thus make China more inclined to seek a speedy conclusion to the conflict. But the question still remains: what if, in the midst of similar civil war in North Korea, Kim Jong-un ordered a chemical weapon attack against a city in rebellion? If he continued to have control over nuclear, missile, and artillery forces, dominant influence of major cities, and the support of China, would a military response be possible? As a matter of fact, the US has been unable to seriously plan for a ground invasion of Syria because of Assad’s continuing military capabilities and strong international backers. Moreover, when the Assad regime crossed a red line, the US administration sought congressional authorization thus delaying a swift military response. South Korea might need to plan for situations in which North Korea does not completely collapse, but rather partially breaks down like Syria. In such situa- tions, it will be possible that US-led military action under the ROK-US alliance may be difficult. 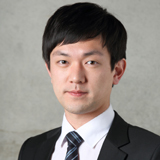 Mr. Peter Lee is a research associate in the Middle East and North Africa (MENA) Center at the Asan Institute for Policy Studies in Seoul, Korea. His research focuses on East Asia-Middle East security relations and the role of middle powers in regional affairs. He received a B.A. with Honours and a Master of International Relations (MIR) from the University of Melbourne, Australia.